October is a lovely time of year to get outdoors. One of the best places in eastern Pennsylvania to enjoy autumn’s splendid temperatures and colors is the D&L Trail, which is built on the old towpaths of the Lehigh and Delaware canals and the former bed of the Lehigh Valley Railroad. Regardless which portion of the trail you choose to visit (View complete trail maps), you are bound to pass a historic canal lock, a locktender’s house (in Walnutport, Lehigh County, or Freemansburg, Northampton County), and of course the canal itself, which is still watered in Walnutport, east Allentown below the Hamilton Street bridge, Bethlehem, Glendon, and from Easton south to Point Pleasant in Bucks County. 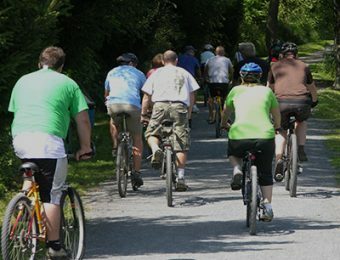 Another outstanding aspect of biking, walking or running on the trail is that you are always next to – or close by – either the Lehigh or Delaware River. Perfect! While you’re riding, be sure to have a smartphone with you to learn more about the section of trail you’re traveling. The information comes from the D&L’s Tales of the Towpath education website, which is part of a broad elementary-level social studies curriculum that introduces fourth-grade students in 21 public school districts and four private schools to canal history and related industrial growth that sparked the American Industrial Revolution in the mid-19th century. 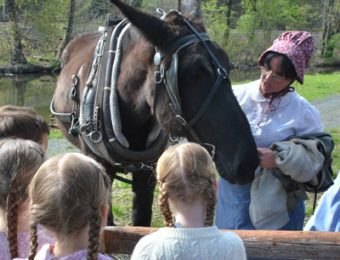 You can access lots of information – text descriptions, historic photos, audio and video clips – on 35 towns from White Haven in Luzerne County to Bristol in Lower Bucks County . . . all through interactive maps. 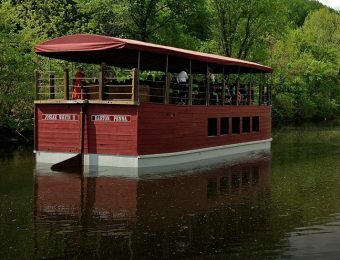 Just go to http://delawareandlehigh.org/talesofthetowpath to discover the history you’re passing on the trail. The website includes a tutorial explaining how to use the interactive maps, provided by none other than Finn Gorman himself, the friendly protagonist of the storybook Tales of the Towpath. And by the way, if you’re curious about how coal, slate, iron or limestone were formed (you’ll be passing through areas where all are abundant) just click on “Building the Towpath” on the site’s menu bar to access animated lessons that describe the formation of each of these important natural resources. So, get out on the trail this fall and enjoy nature and history at their finest.